The thousands of homeless pets in animal shelters across the country could use all the earthly help they can get when it comes to finding loving new families - but a little divine support certainly couldn't hurt either. 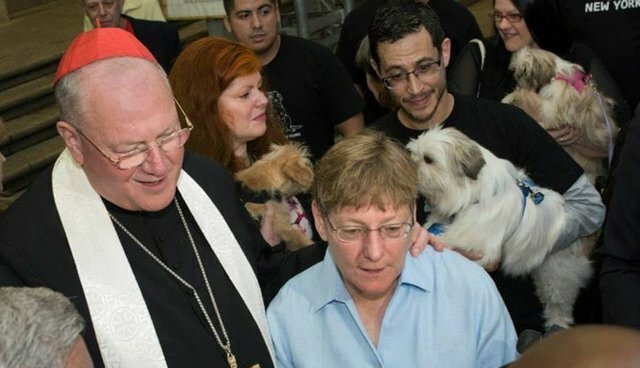 In a special Catholic ceremony to mark the start of the Feast of Saint Francis of Assisi, the patron saint of animals, dozens of unwanted and abandoned pets were invited to St. Patrick's Cathedral in New York City on Tuesday to receive a blessing from Cardinal Timothy Dolan, the Archbishop of New York. 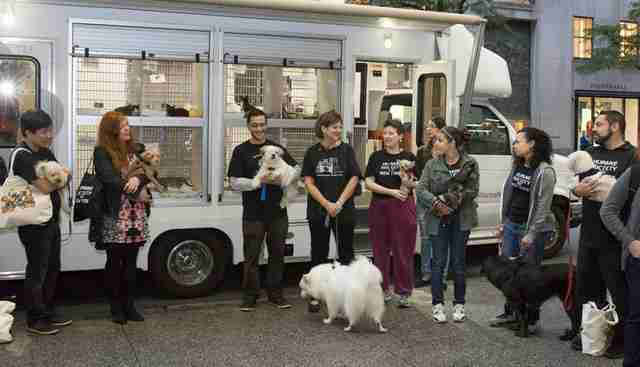 CBS News New York reports that 36 shelter dogs, cats and a lone rabbit, were on hand for event. Along with them was a small crowd of dedicated animal caretakers from the Mayor's Alliance for New York City Animals and the Humane Society; they got a special mention in the blessing for the good work they do. "[Francis] is the saint who reminded us that God's love is revealed through creation and creatures," Dolan said. "We ask you to bless these pets and the people who rescue them and take care of them." Visit the Mayor's Alliance for New York City Animals and the Humane Society of New York online for more information on how you can adopt a pet.